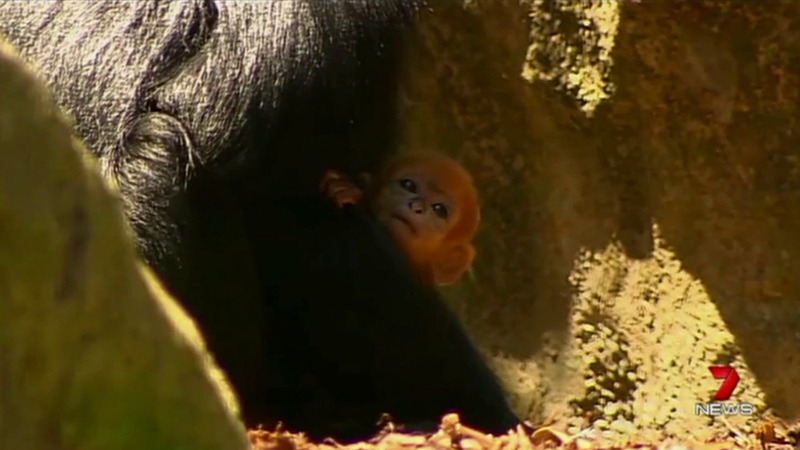 AUSTRALIA -- Australia's Taronga Zoo celebrated the birth of a Francois' Langur, one of the world's rarest monkeys. The baby is named Nangua, which is the Mandarin word for pumpkin. The bright orange babe was spotted cradled in his mother Meili's arms on Nov. 7. He is the first born to his father Bobo and will begin looking more like his dad as he ages and loses the orange coat. The family is part of an international breed program for endangered animals. Francois' Langurs, which are also known as Francois' leaf monkeys, are native to China and Vietnam, but are nearly extinct because of poaching and habitat loss.